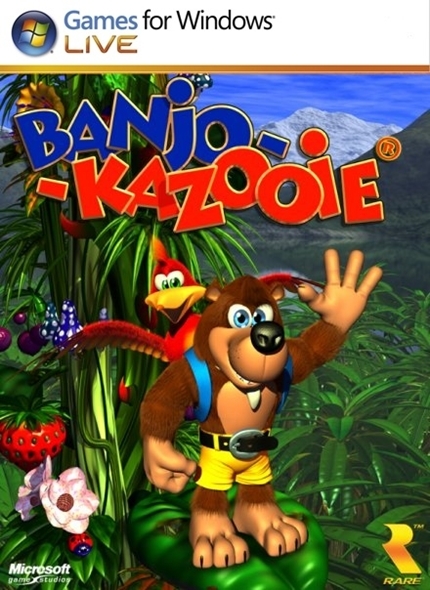 I am a lowly disciple of Bill Gates, and I am pleased to announce this Microsoft and Rare release, Banjo-Kazooie for PC. No more need of these trash emulators, just buy the PC version of BK. For those who want to try before you buy, download the demo, search for Banjo-Kazooie for PC (Games for Windows Live) on Google. If anyone has questions, just Google it. This an equivalent version to XBLA Banjo-Kazooie released for Xbox 360, and also has support for 1080p (enough to use these crap plugin's filters that worsen the image more than improve)! Remember, native Windows games will always be the best choice! Last edited by DKfanatic; 29th September 2011 at 03:48 AM. I'll take my trash emulators thank you. He must be speaking of Mupen64 Plus and it's refusal to be released with a good GUI, right? No wait, he meant to say "UltraHLE". Any information regarding this? Googling didn't come up with anything useful. Edit: What are you doing 8-years-ago me? Last edited by ExtremeDude2; 14th January 2019 at 02:08 PM. its just a bundling of Banjo kazooie with a preconfigured emulator. I don't believe such things unless it is out right now, ready to buy. Especially since it can be subject to cancellation which has happened in the past. It makes sense for Microsoft to release games for xbox 360. Not for pc. Such as gears of war. Good thing I'm not a fan of that series. Also, considering the fact that the only pc game from rareware is viva piñata, loada rubbish. Haha, stereotypical gamer and technology freak all talk about graphics and stuff. Same mentality was applied to Conker's Bad Fur Day remade to be Conker: Live & Reloaded and look where that ended up (I prefer the N64 version).